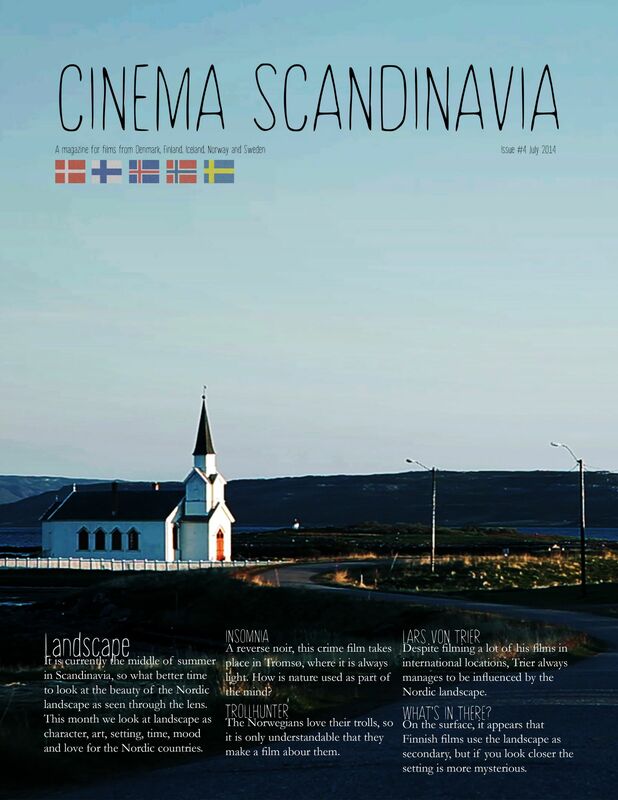 Well, my choice to write this article fell on the film Saraband, a film dating from 2003, his last work done in life (Unfortunately Ingmar Bergman left us four years later in 2007). But in order to talk about Saraband, I had to necessarily speak first about what generated it, Scener Ur Ett Äktenskap. While not overtly a continuation of Scener Ur Ett Äktenskap, Saraband was born of this work, we can see it as if it was his child, but a adult son, already emancipated. And it is by the first I’ll start. Scener Ur Ett Äktenskap, was written and filmed by Ingmar Bergman and was initially produced as a series for Swedish television in 1973 and later released to the cinema a edited version. This series has six episodes, and portrays the life of a couple, Marianne (Liv Ullmann), a lawyer familiar causes, expert in the field of divorce and Johan (Erland Josephson), a scientist. At first the characters show great moments of happiness between both but as the action progress their relationship is also falling. As we can see early in the first episode at his home, when a reporter for the magazine interviews them, in an idealisation symbolic gesture of a model couple. Later at dinner, in the company of a female friend, after we witness a big discussion among the guests, Katerina (Bibi Andersson) and Peter (Jan Malmsjö) and late in the evening, as the two help each other in cleaning the dishes, talk about what happened between the couples friend once again demonstrate that conjugal happiness is to last in the house of this couple. So far the relationship of this ideal couple seems unshakable, they believe that all these years together helped to build some security, but what were hitherto isolated cases of small disagreements unimportant cases are starting to become more and successive with greater importance in their lives. It is from the third episode that action gets a new turn when Johan reveals to his wife that he wants to leave the house because he has another woman, leaving her completely disturbed. As they say ‘the best cloth drops to splotch’, no one would say this couple would get to his point after they had been presented as ideal. Later, Johan tries to approach, but Marianne is in a relationship, afterward having a violent discussion, and Johan signs the divorce papers. Already at the end they meet again on their twentieth wedding anniversary, the two become involved, now in the role of two lovers who betray others. And as a divorced couple, the two seem to be more connected, like earlier when they are presented by the magazine as double role model. In this work Bergman does not make use of the music, the effect of this series is almost like a documentary, with the continued use of close-ups of the characters. What makes the view get stuck, and notice every movement, every sincere or forced feeling of the characters, as if it were present beside them. The high point of this story is one such dinner offered by Johan and Marianne, to a friend, during dinner and after this and already with a few sips of whiskey to the mix and a lot of mutual insults between the guest couple until they announce they are almost at the point of separating. At this point the director foresees what will be the destination following to the protagonists of the story, building the situation with great mystery. In Scener Ur Ett Äktenskap, Bergman dissects the painful process of separation of its model couple. The result can either bother like having something incredibly beautiful. The dialogues between the characters are aggressive, they overflow their inner feelings, all in harmony with your film type, psychological, examining all the human aspect. Saraband is a Swedish film, which was produced for Swedish television, written and directed by Ingmar Bergman in 2003. Actress Liv Ullmann back again behind the screen again in the role of Marianne and Erland Josephson as Johan the same characters Scener Ur Ett Äktenskap 1973 that 30 years later, again be revisited. But this time, contrary to what one would expect this is not a story of meeting wedding after years of separation, but this time the story focuses on other characters, Karin (Julia Dufvenius) – granddaughter of Johan and daughter Henrik and Anna; Henrik (Börje Ahlstedt) – son of Johan; Anna, Henrik wife´s, already deceased that appears repeatedly in the form of photography. In Saraband the action focuses on the suffocating relationship between Henrik and daughter Karin. This unhealthy relationship in which Henrik expresses his pain over the loss of his wife Anna, a mad obsession with his daughter. But history can be summarized as follows, after years away Marianne decides to visit her ex-husband. Arriving is faced with a familiar situation in limit. The granddaughter of Johan has a suffocating relationship with his father, and the ghost of her mother, Anna, hangs over this dysfunctional family. Witness also the tormented relationship between the ex-partner and his son Henrik. Basically these are the fuses that trigger actions essential to this work. It consists of a prologue and epilogue, both narrated by Marianne, and based on ten episodes always preceded a title. As Scener Ur Ett Äktenskap also Saraband, the question of the relationship is once again revisited, this time the strange and painful relationship between parents and children, and not only, also including other issues that have always been part of their films, the weakness of man, marriage, ageing, illness and loneliness. Saraband is not only as a “continuation” of Scener Ur Ett Äktenskap, but I believe that as a small view by his pieces under the gaze of this, which was the last. Last in physical format, because in fact the work of Ingmar Bergman will always be present in the remaining directors, the Swedish director serves as a source of inspiration to many. For curiosity Saraband is the name of a sonata from the German composer Johann Sebastian Bach, which in this case fully serves the purpose of Bergman. His films often raise questions of existence, life, death and love. Ingmar Bergman is one of the few that manages to capture through film and shoot the unconscious man, get in with the camera in the minds of his characters. It is undoubtedly a master to use close-ups, uses and abuses them to express all the emotions through the screen, able to thrill the audience. It is a cinema characterized by being too human, makes questions on topics such as the existence, human relations – interpersonal and family, love, God, death, etc. The theatrical and minimalist aspect that he gives primacy in his works, is manifest from the care he has with his actors, which is another mark of his movies. Liv Ullmann and Erland Josephson participate in their various films, it can be noted that the three demonstrated a great intimacy between them. Bergman is also a master in the use of silence, it is used as soundtrack is powerful because their silences are always loaded with meanings. To finalize leave a comment Bergman, featuring exactly who was this Swedish director, “The cinema is not a craft. It is an art. Cinema is not a team effort. The director is only facing a blank page. For Bergman being alone to be just asking questions; filming is to find the answers. Nothing could be more classically romantic. “- Words of another master Jean-Luc Godard. “The cinema is not a craft. It is an art. Cinema is not a team effort. The director is only facing a blank page. For Bergman being alone to be just asking questions; filming is to find the answers. Nothing could be more classically romantic. “- Words of another master Jean-Luc Godard.